Gov. Larry Hogan explains his budget proposal at a Jan. 7 press conference. Left is Lt. Gov Boyd Rutherford, on the right is Budget Secretary David Brinkley and fiscal advisor Bob Neall. Maryland is dealing with another revenue shortfall and a budget that must be trimmed to make the state’s books balance. Yet to hear Gov. Larry Hogan tell it there’s no revenue problem –only “a spending problem” caused by Democrats in the General Assembly. Let’s get the facts straight on this one: If there’s a problem with spending the buck stops on Hogan’s gubernatorial desk. He’s the one who puts together the state’s annual budget. He’s the only one who can increase spending. The legislature, by law, cannot raise the governor’s budget request. All lawmakers in Annapolis can do is cut the budget. Hogan, like Republican presidential nominee Donald Trump, wants to create his own version of the truth. He refuses to admit he is responsible for submitting a budget earlier this year that is out of balance by some $783 million over a two-year cycle due to a faulty estimate of future revenues. Democrats share partial responsibility for not cutting more deeply into Hogan’s budget last April. 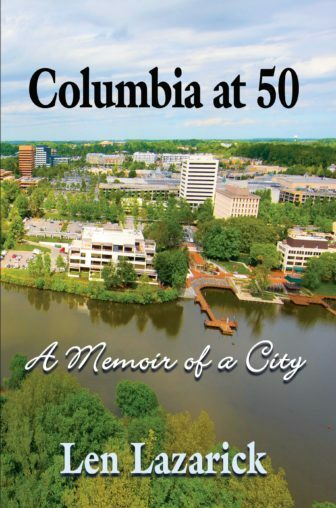 They, too, misjudged the state’s plodding economic rebound from the Great Recession. It’s no surprise that liberal Democrats are reluctant to reduce spending on social programs. The irony is that Maryland’s conservative Republican governor failed to clamp down harder on spending in the face of slow-growth revenue numbers. Hogan’s attempt to turn around and blame Democratic lawmakers for his own budget mistakes doesn’t hold water. He draws up the state’s massive spending plan, not the legislature. The other budget myth Hogan has been spreading is that he can solve the state’s financial woes if only Democratic legislators eliminate spending mandates that lock up over 70 percent of the state’s budget. Were that to happen, Hogan would have unrestrained power to cut deeply into education and health care programs as well as environmental and social service programs. It would mean a loss of historic checks and balances between the legislature and executive in favor of an all-powerful governor. No wonder Democratic lawmakers refuse to budge. Yet Hogan persists in blaming the state’s budget shortfalls on the spending mandates. It’s as though the governor had nothing to do with submitting a budget that failed to exercise sufficient caution. Maryland Comptroller Peter Franchot has repeatedly urged a conservative approach to budgeting in light of an exceptionally slow recovery. Maryland is gaining jobs but not high-paying jobs. 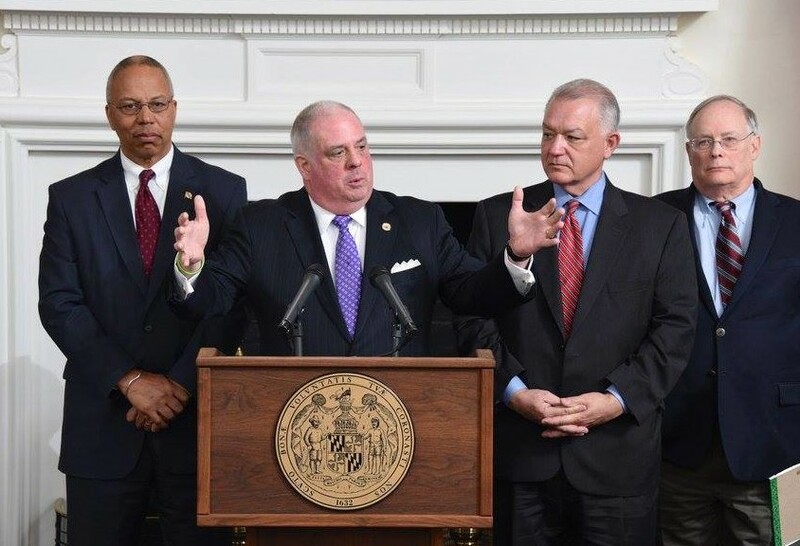 Hogan may proclaim “Maryland is open for business” but he seems not to have noticed a shift in the job market is occurring which requires a conservative governor to take a more cautious approach at budget time. In putting together next year’s budget, the governor now must reduce earlier spending targets by about 2 percent due to the predicted revenue shortfall. That is eminently do-able. Judicious reductions and reallocations of program funds could close much of the budget gap. Hogan has on his staff one of the most creative budget minds in Annapolis – former state Sen. Bobby Neall – tasked to find thoughtful ways to reduce spending while improving efficiency. His suggestions will come in handy over the next three months. Yet deeper cuts will not come about if Hogan continues to blast the legislature for refusing to give him near-dictatorial powers over the state budget. Fortunately, a middle road exists for the governor to work with lawmakers to make changes in spending mandates that could eliminate Maryland’s long-term structural deficit. But that calls for Hogan to work cooperatively with the legislative branch – a reversal of form. He knows that criticizing free-spending Democrats wins him votes, even if it makes it nearly impossible to gain General Assembly support for his programs. Is he willing to alter his approach? Good governance requires compromise and negotiation between a Republican governor and a Democratic legislature, especially on passage of the state budget. So far, Hogan has fallen short in that area. He gets another crack at changing his tune early next year. The are at least four major points of dispute with this column. One, Gov. Hogan’s initial budget left $449 million surplus and an extra $200 million in the rainy day fund, enough to cover the projected shortfall, according to the legislative staff analysis. By the end of the session, the surplus (fund balance) was $364 million, almost exactly matching the loss of revenue. Hogan also proposed spending less than the legislature’s Spending Affordability Committee said he could. At this point, it would appear that the only thing that needs to be cut is the surplus. Two, the legislature fenced off another $80 million from the rainy day fund, demanding that Hogan spend more on schools and other items than he wanted. Hogan refused. Had he complied with the legislature’s wishes, the budget situation would be worse than it is now. Three, the fiscal 2018 budget is still being worked on. A structural deficit was already expected based on those pesky spending mandates, inflation and ballooning pension contributions, all of which Hogan and his budget people have complained about. There is no budget for fiscal 2018 that is out of balance yet. Four, the governor fully funded the spending mandates this year. He saw that as a compromise from the position he took with his first budget. Democratic legislative leaders have shown zero inclination to compromise on spending mandates.